Whittington Health Hero 2018 Announced! To Herald 70 years of the NHS, Whittington Hospital held award nominations to recognise 70 extraordinary people who have contributed throughout its history. Recipients of the awards were announced at a Whittington open day on July 5, the anniversary date and Falck are delighted to announce the award of ‘Whittington Health Hero’ was presented to one of our staff members Marcel Myers. 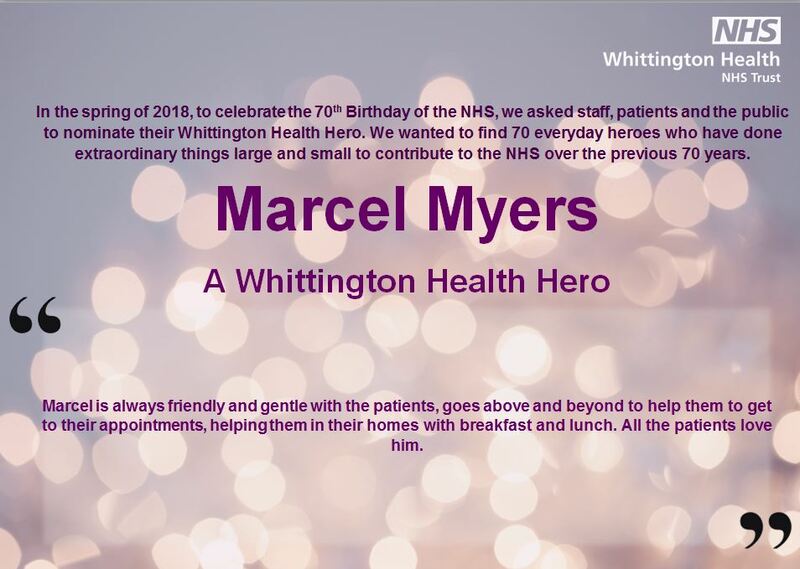 Marcel was recognised for his outstanding efforts, commitments and professionalism by the generous staff, patients and public of Whittington Hospital. Marcel attended a very special lunchtime reception to bring together and congratulate all 70 of the awarded Whittington Health Heroes.